Eliminate all cables with our new generation falls prevention solutions. 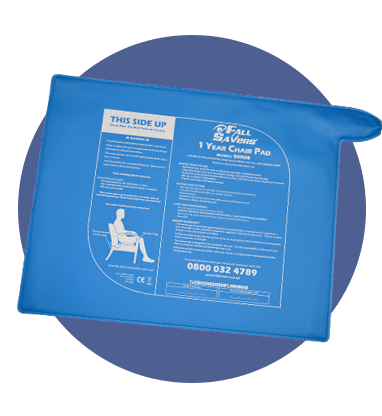 Improve your Falls Prevention Programme with our all-in-one easy to use fall monitor. 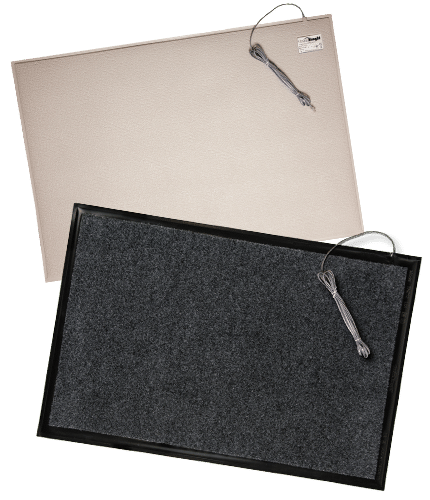 A durable, antibacterial floor sensor pad compatible with most nurse call systems. Uses infrared detection technology to help carers reduce the risk of falls. 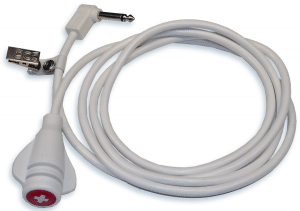 Can be integrated with magnetic locks, most nurse call systems, sirens and more. 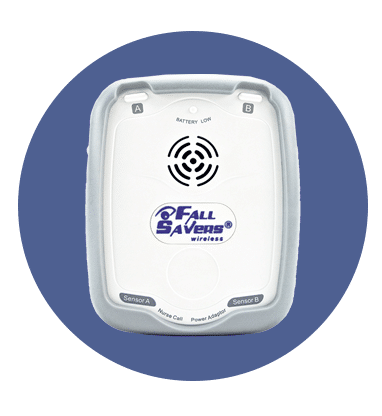 We are Fall Savers®, an experienced market leading healthcare provider of resident safety solutions for over 15 years. Eliminate all cables with our new generation falls management solutions! 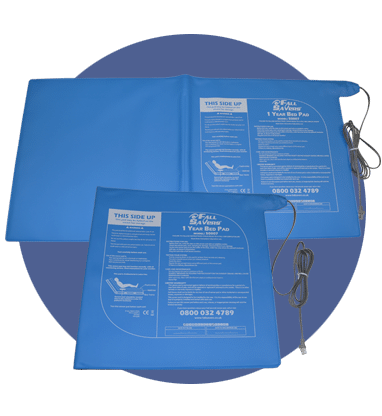 Upgrade your falls programme with the latest technology from Fall Savers®. 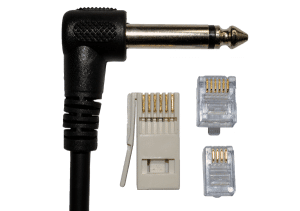 The NEW Fall Savers® Wireless eliminates the cord between the monitor and sensor pad. This results in less work for nursing staff, improved safety for patients and reduced wear and tear on sensor pads. Wireless advantages include the ability to use one monitor with two sensor pads simultaneously and support for many new wireless devices. 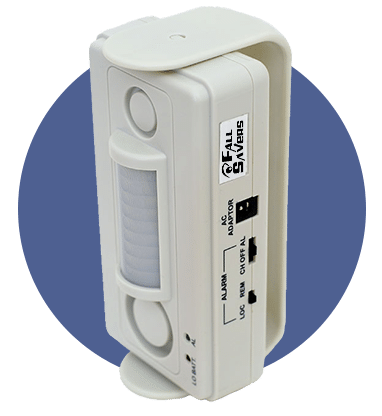 If you are looking for an All-in-one Falls Monitor for use on a bed, chair or toilet, look no further. Simplify staff training and improve your falls prevention programme with an all-in-one easy to use fall monitor that combines the industry’s leading monitoring features. 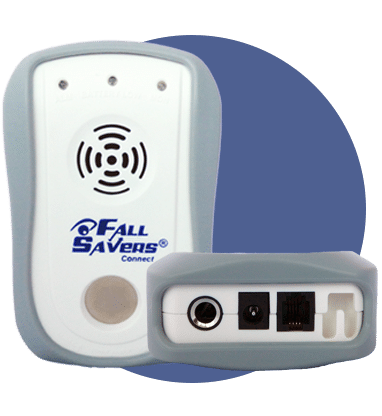 Standard features of this next generation Fall Savers® Connect Monitor include monitoring support using bed sensor pads, chair sensor pads, the TreadNought® Floor sensor pad and magnetic cord and clip. The ability to record a personalised voice alert is also a standard feature. 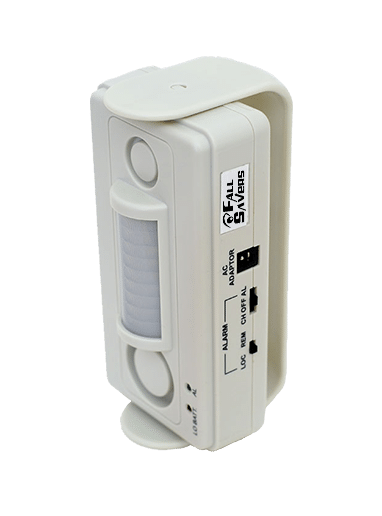 The Fall Savers Connect Monitor is smaller than its predecessor whilst retaining all of the features and much more, it can be deployed as a standalone monitor, be integrated with most nurse call systems or be used with an optional portable pager. The TreadNought® Floor Sensor Pad is built to last with a durable construction that far out lasts the competition. 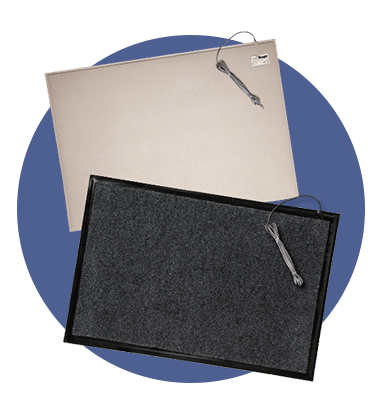 Our anti-bacterial floor sensor pad is compatible with most nurse call systems or can be used with a portable pager to sound an alert when a person steps on to the sensor pad. 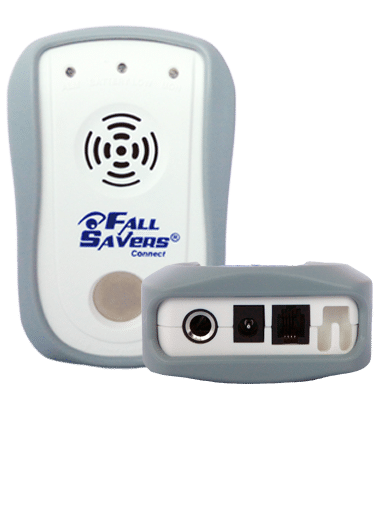 Caregivers typically place the sensor pad at the bedside, in a doorway or other locations to monitor persons at risk for falls or wandering. An optional anti-slip mesh reduces the potential for slippage on hard surface floors. 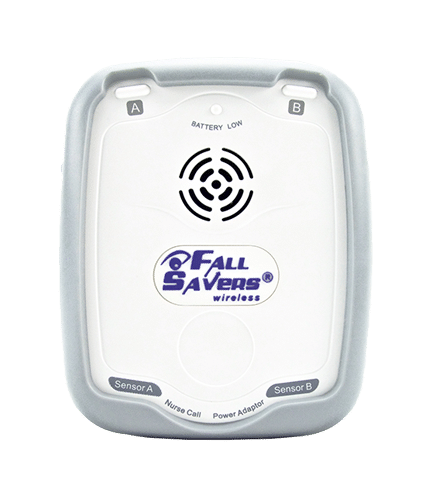 The Fall Savers® Passive Infrared Monitor uses infrared detection technology to help carers reduce the risk of falls. 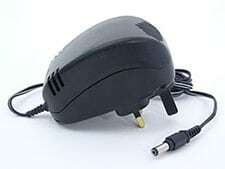 This monitor can be mounted on a door or by the bedside to trigger an alert when a person breaks the infrared beam. The Infrared Monitor is a great alternative for when carers determine that the use of sensor pads is undesirable. 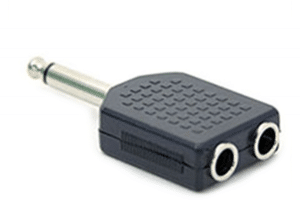 This simple-to-use monitor comes with a swivel bracket for easy mounting and adjustable positioning. 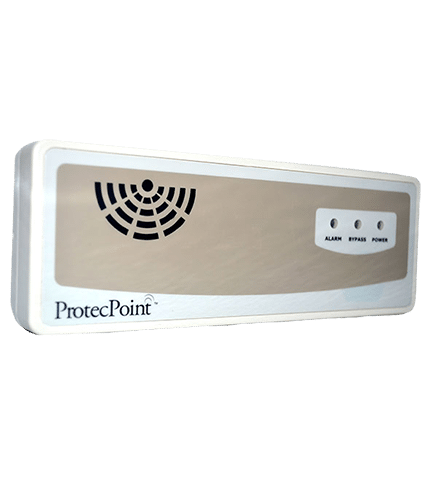 The ProtecPoint™ system is a radio-frequency (RF) product for monitoring the movement of selected individuals through key exits of your healthcare facility. The system uses compact RF signalling devices that are worn by individuals on the wrist. Each key exit is equipped with a door monitor that generates a field which defines the door coverage area for the signalling devices. 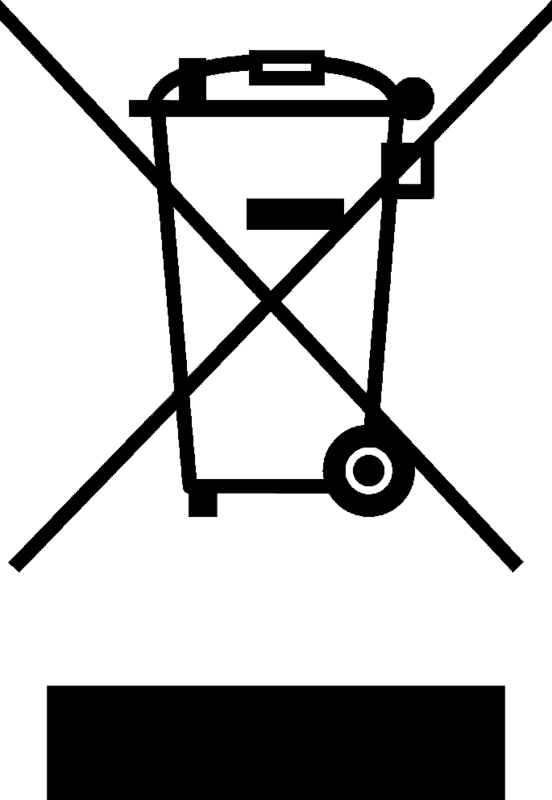 When a signaling device enters this field, an alarm is triggered to alert caregivers. 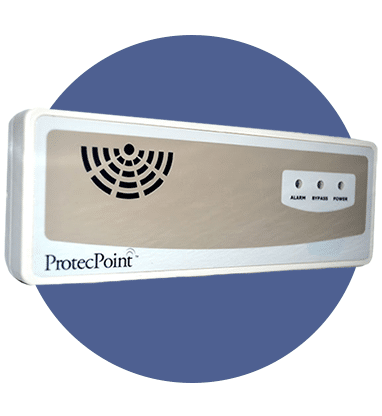 The protect point can be integrated with third-party equipment, such as magnetic lock, nurse call or standalone pager. Easy to use – The ProtecPoint™ is extremely easy to use with minimal staff training required. Low-cost – The ProtecPoint™ door controller is easy to install and adjust, the only wiring required is for power. Signalling devices carry a three-year warranty and can be transferred from one person to another. Multiple use and integration – The ProtecPoint™ system can be adapted to a variety of needs, it can also be integrated with a wide range of other third party equipment such as magnetic locks, most nurse call systems, sirens and more. Reliable— The ProtecPoint™ system is built using care solutions’ RF technology proven through thousands of installations. 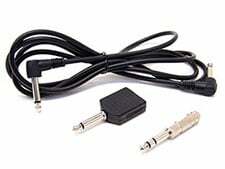 It is not prone to interfer­ence from other radio frequency devices. ProtecPoint™ Wander Alert is a trademark of Stanley Healthcare Solutions. Anti-bacterial foldable bed sensor pad, measuring 764mm (L) x 390mm (H), for use above the mattress. This new, chair sensor pad measures 383mm (L) x 304mm (H), for use with traditional chairs and wheelchairs. Please contact us for our full range of product accessories. We have been dealing with Fall Savers® for many years. Nothing is too much trouble and they will go out of their way to help us find solutions for products to use alongside our nurse call systems. They have great customer service and technical knowledge of the products. They dispatch items quickly and efficiently and always let us know if there are any stock delays. Been dealing with Fall Savers® for over two years & thoroughly recommend them. Always prompt with delivery and excellent response to product support. Finally found a reliable source that suits our customer requirements. I am impressed with the service I have received from the staff at Fall Savers®. They respond to questions almost immediately and address issues very effectively. They are really easy to work with and appreciate their customers.